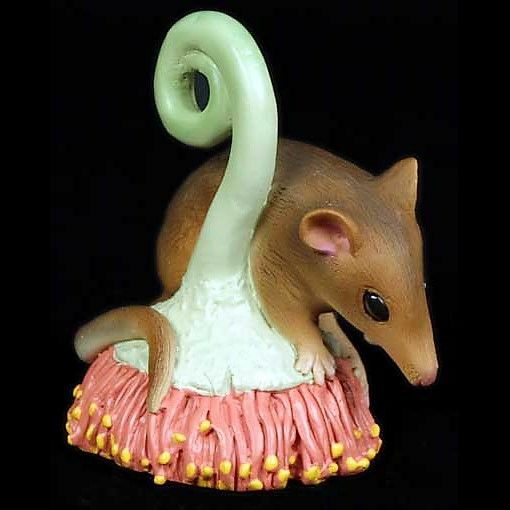 This delightful Pygmy Possum poly-resin figurine is beautifully crafted and hand-painted and is an ideal gift for the discerning buyer looking for something just that little bit different. The pygmy possums are a family of small possums that range in size from 5 to 12cm in size and weigh between just 10 and 50grams. They are nocturnal (come out at night).